I am the last of my generation. Various of my family who have preceded me in death I will remember here. There are many of whom I would say something. All of them, I wish I had known better. People think that reconciliation to death is hard for an atheist, and yet I doubt it is much easier for theists: they don’t really know; it’s a matter of faith, after all. Some may ask what comfort is there for the unbeliever, and yet that is the whole purpose of philosophy, to prepare us to die. One of the compensations for death is that life goes on. From our earliest extant literature, the Epic of Gilgamesh, we find, at the end, that the hero is at last reconciled to death. He takes a friend outside Uruk and instructs him to look at the walls of the great city. Every brick has his name on it. But the point is not that Gilgamesh built a monument to himself. The unspoken assumption is that there will be people to see it. Life will go on. 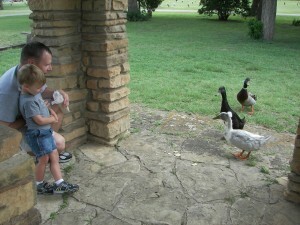 In the cemetery where Vicky, my sister, is buried, there is a stone gazebo near the duckpond. 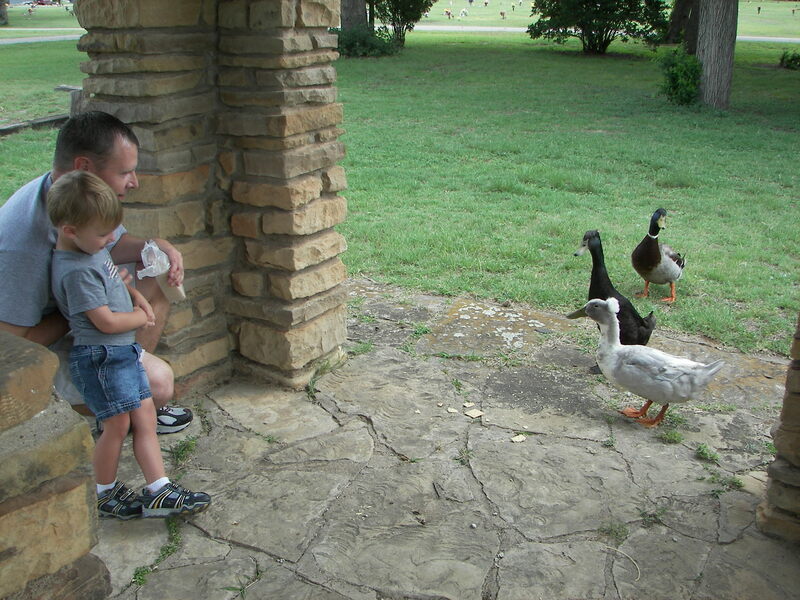 In this picture, Alex, my brother’s only son, and his son, Grant, feed the ducks. Postscript: I have also decided to add pages here for friends who have died. Clyde is the first. Royce Purefoy’s is in my blog, though I should move it here.